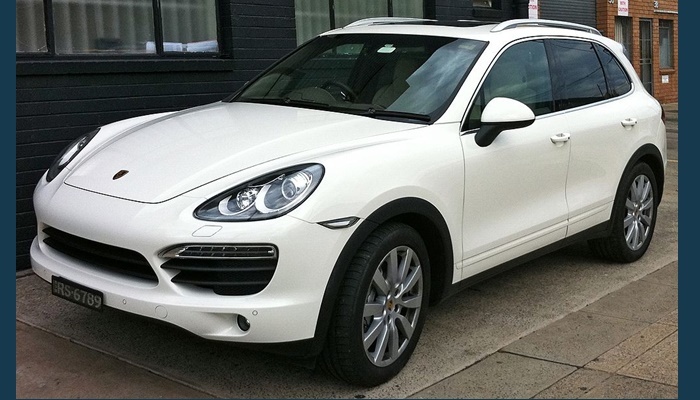 July 28 (UPI) — The German government ordered 22,000 Porsche Cayenne sport-utility vehicles to be pulled after the carmaker was implicated in a diesel-cheating scandal. German Transport Minister Alexander Dobrindt said the German government has evidence that 22,000 Cayennes with 3-liter diesel engines sold across Europe use a device to cheat on emissions testing. Porsche said it would take “full responsibility” for the infraction and cooperate with the government. Volkswagon, which owns the Porsche brand, said it will “offer to refit four million vehicles and thereby significantly reduce emissions,” chief executive Matthias Mueller said after meeting Environment Minister Barbara Hendricks. Volkswagon has been suspected of diesel emissions-cheating scandals since 2015, when it was first discovered the carmaker installed software in its vehicles to evade diesel emissions standards in the U.S. and Europe. But the scandal goes back even further to 2006 when Volkswagon executives first made the decision to install the software as a way to increase its low share of the car market in the U.S., reported the New York Times. After a formal notice of violation of Sept. 19, 2015, Volkswagon stock plummeted and has since failed to fully recuperate. The company eventually pleaded guilty to conspiring to defraud the U.S. government and violating the Clean Air Act. It was fined $4.3 billion.